Pro Comps Level Lift Torsion Keys are the fastest, safest, least expensive way to bring the front of your Vehicle level with the rear. This gives you the clearance and ability to add wheels and tires up to 33” in dia. 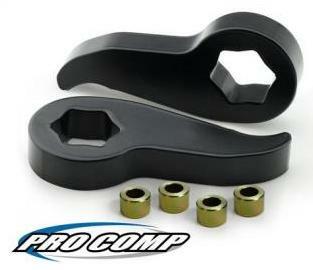 Pro Comp products do not affect the factory OEM ride quality or comfort. Thats why Pro Comp also offers a lifetime warranty for as long as you own your vehicle against defects for all of our products.